No matter how tough and independent you are, you still need someone you can trust. 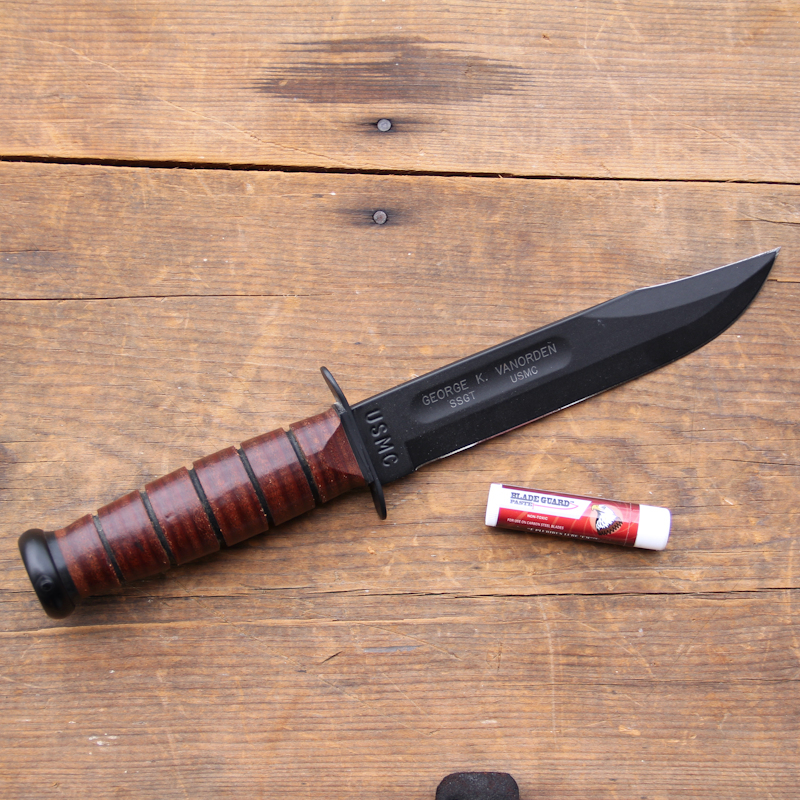 The Military has trusted KA-BAR® knives since World War II. Who does KA-BAR® trust to protect those knives? Eagle Tears Blade Guard… PROTECT YOUR BLADE! 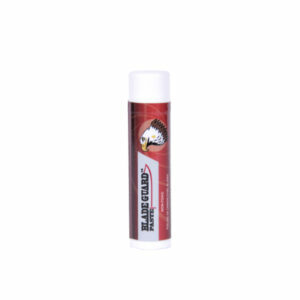 Blade Guard Knife Paste – Simple, quick and effective protection for all your knives. Formulated especially for carbon steel with all non-toxic ingredients and food grade oils. 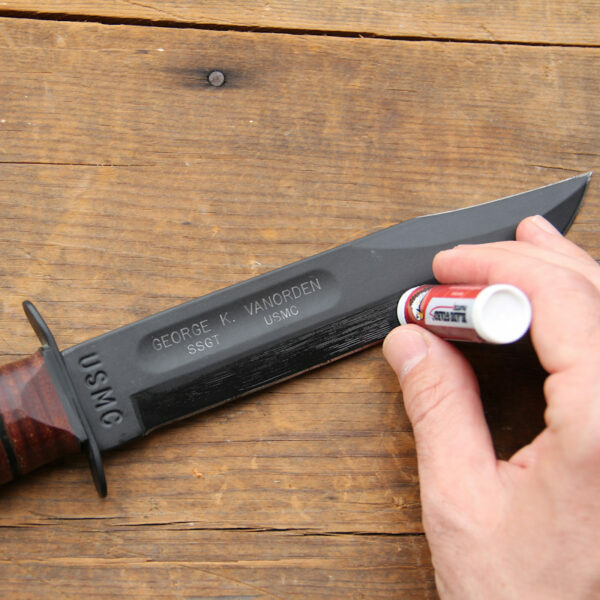 When applied to carbon steel, it gives your blade a satin sheen that lasts. 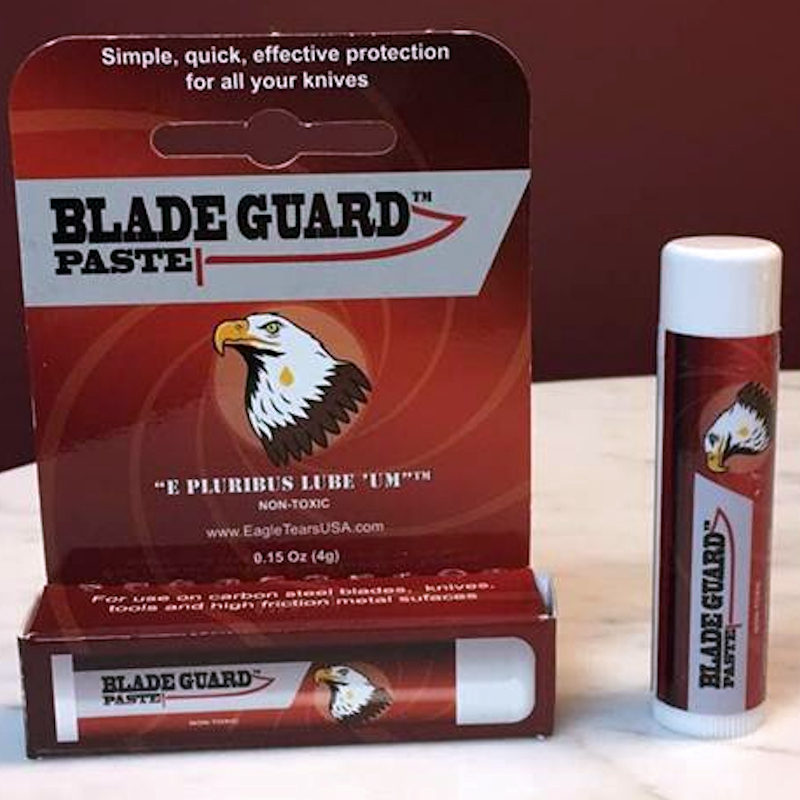 Once on the blade, with the excess wiped off, you can feel no residue; just a super thin layer of protection that stays on the blade and stands up to water and weather, repelling dust and dirt and maintaining your knife for generations to come. I have two very fine hand made Damascus steel knifes and I like to use them. I have one that I carry in my everyday carry bag (I do not use this one very often). Two years ago I coated the blade with Blade Guard and now two years later the blade still has a sheen on it, I have never reapplied the product since, I have shown 50 plus people this knife and they have all touched the blade, no rust, no finger prints. The Blade Guard continues to brings out the beauty of the Damascus steel. The other Damascus blade I use when carving my steaks for dinner and use it often, I wash the knife regularly and reapply the Blade guard only after every three to four uses, although I am not really sure I even need to to that as the sheen doesn’t seem to wash off.